Martin Duke’s pull-up leathers come from a remarkable Italian hide; it is natural, unaltered and rugged with soft and supple to the touch. The appearance will age and mature beautifully with day-to-day use. 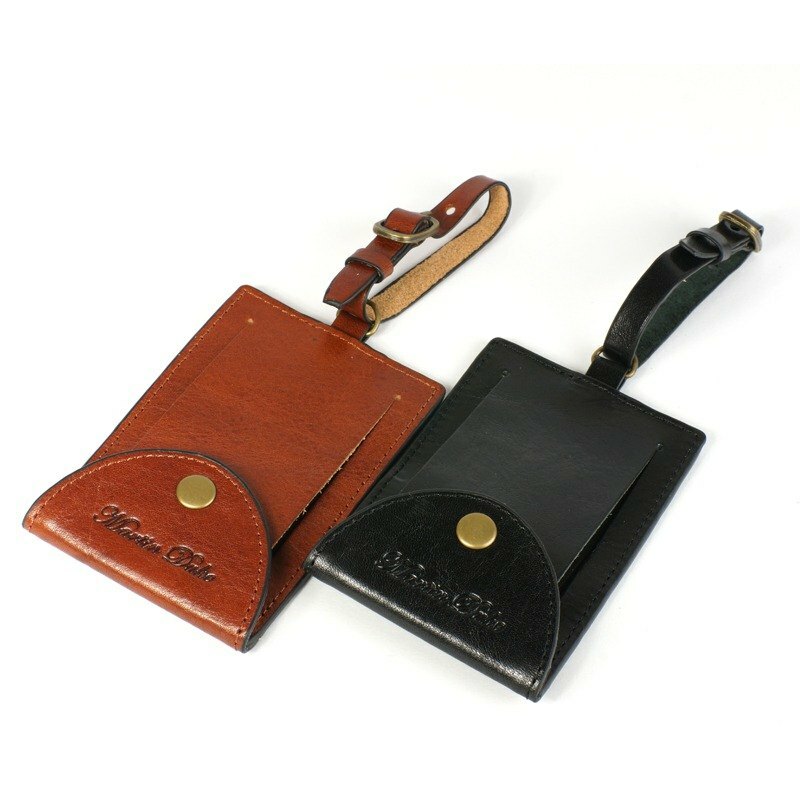 https://farm9.staticflickr.com/8712/16997065971_4bb9d17bb6_o.jpg The simple type of luggage tag makes you find your luggage easier. Do not have to spend times on finding suitcase. Enjoy your trip. Extemal material：Italian leather / Nylon Interal Material：Cotton and Linen Size：65 X 100 mm ﻿Color：Light Brown / Red Brown / Black ※ The color is for reference only, please pay attention before purchasing, as the actual product may have differences than the picture.